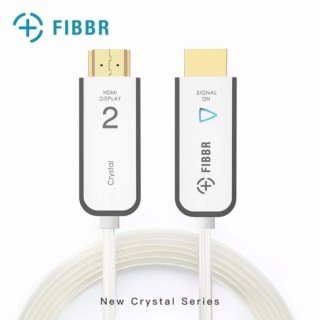 FIBBR Crystal 4K HDMI Cable 2 Meter Brand New. Now Selling At RM539. Free Shipping Within West Malaysia. 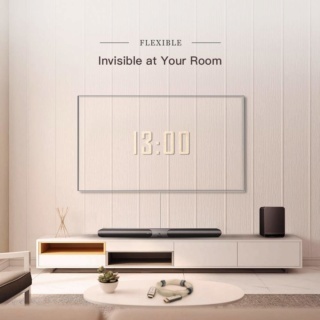 【Invisible at Your Room】 Crystal series cable don't adopt traditional unsightly bulky black jacket but adopt a design-friendly transparent jacket. 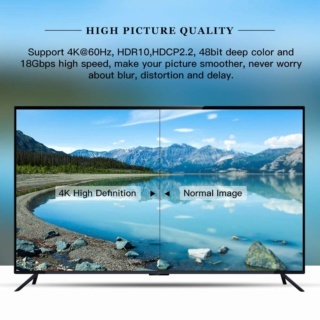 When connected TV with playback equipment, whether the TV is placed or wall mounted, it will be more integrated into your home décor, making the living room more simple and generous. 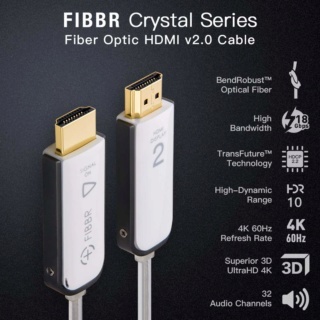 【New Technology】The Crystal series cable use the patented TransFuture technology to improve the original two-channel DDC (Display Data Channel) into a unique data communication channel with error correction function, which solves the problem of low resolution, splash screen, black screen, etc. caused by poor communication between audio-visual equipment. 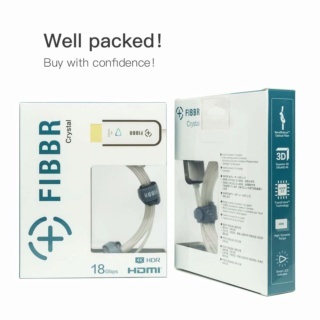 【Excellent Display Performance】FIBBR HDMI 2.0 cable support 18Gbps bandwidth, UltraHD 4K 2160p (up to 60Hz 4:4:4), HD 2K 1080p (up to 240 Hz), QHD 1440p (up to 144 Hz), HDR 10, 48bit deep color, HDCP 2.2 and Hot plugging. 【Audiophile Fidelity】 Supports Dolby True HD 7.1, DTS HD Master audio, Audio return, up to 32 audio channels for a multidimensional immersive audio experience, up to 1536 kHz audio sample frequency for the highest audio fidelity. 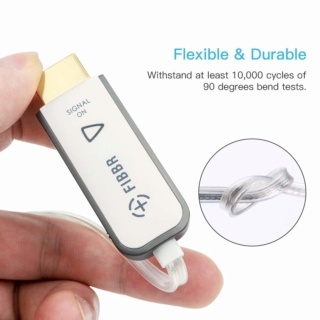 【Ultra Durability Design】Built with premium durable 24K gold-plated connector and PVC jacket, this HDMI cord can withstand bend test of 10,000+ times without reducing cable flexibility and ensure the best performance possible.